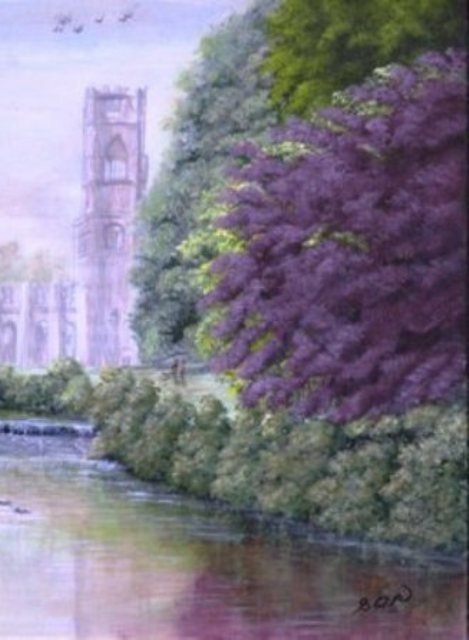 An original, signed, work of art in Acrylic of Fountains Abbey in Yorkshire. Measurements are 42.5 x 34.5cm including a cream frame. 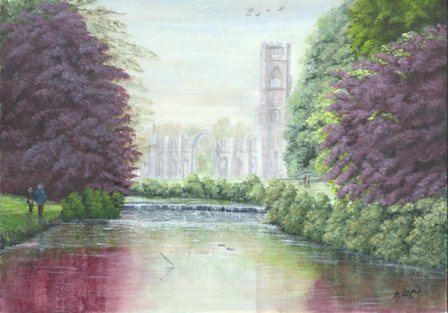 Showing the distant ruins of the majestic Fountains Abbey in Yorkshire, surrounded by beautiful trees and the lake in the foreground. 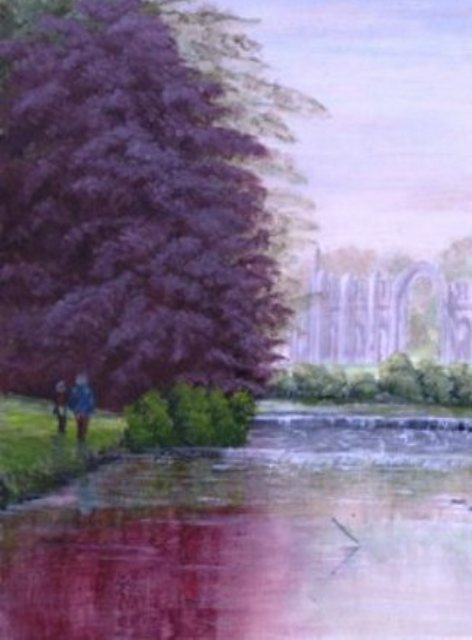 Visitors stroll around the grounds, enjoying the peaceful surroundings, in awe of the abbey that once was such a magnificient building. Comes with a Certificate of Authentication of the reverse.